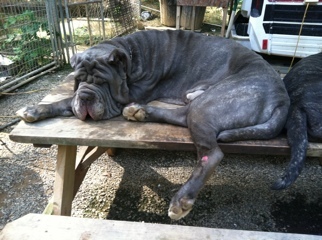 Caesar was napping on the picnic table in the sun, so his eyes were closed. Thank you for the intelligent question!! !